Don't miss this key event for livestock professionnals! Take note: the 33rd edition of SPACE will take place from Tuesday 10 to Friday 13 September 2019, at the Exhibition Centre of Rennes, in France. 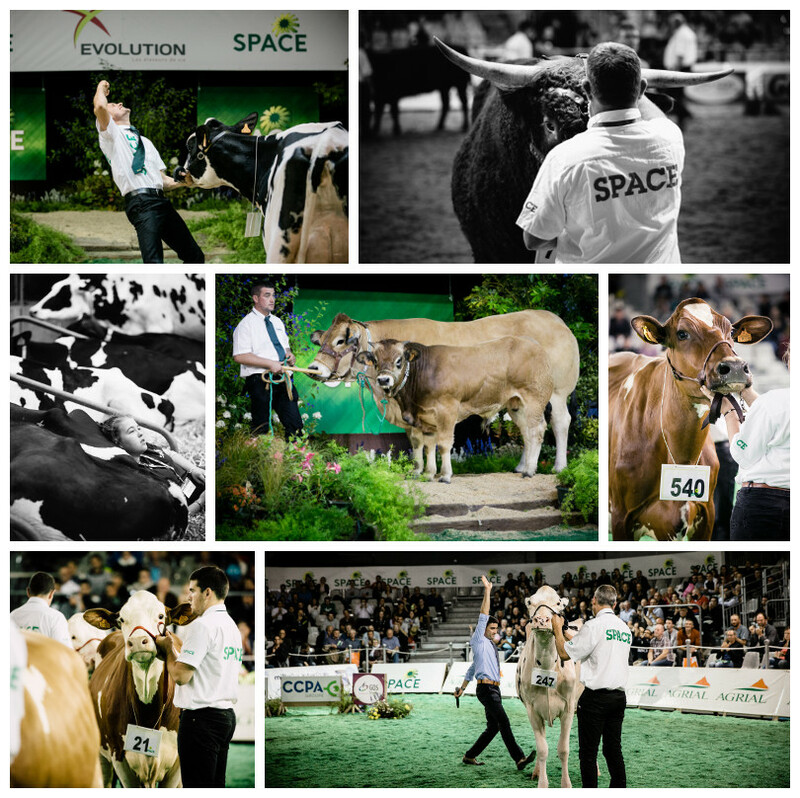 Thanks to its location, its professional base and its international orientation, SPACE is the world event for all professionnals of livestock production: cattle (milk and beef), poultry, pigs, ovine, goats, rabbits and aquaculture. Rennes is easily accessible, whatever the mean of transport you choose. At your arrvial, free shuttles will be a your disposal from Rennes city centre, the railway station, the airport, Saint-Malo and the exhibition centre. A votre arrivée, des free shuttles will be at your disposal, between Rennes city-centre, train station, airport and Saint-Malo. To reduce traffic, don't forget carsharing when coming to Rennes! SPACE is a world-class genetics hub. It gathers every year the best animals from each breed, and an exhibition space is dedicated to the bovine sector and genetics. This space is dedicated to look ahead and think about tomorrow's big issues for livestock farmers. Its objective is to find new ideas to make livestock farmers' working lives easier. In 2018, the Espace for the Future was focused on 'Innovation for the improvement of working conditions'. Every year, almost 100 conferences, symposiums and meetings are organised. These interventions of experts, discussions and moments for exchanging make SPACE a unique event for the progress of livestock farming sector. Once again, APECITA's Job service promoted employment in animal production sector. In 2017, 311 job meetings were organized, with 37 companies and 200 job offers.